The sort of news that makes you giggle until you realise that they are real: Channing Tatum is working on a new version of Peter Pan?! Now I am not going to jump on the bandwagon, I actually believe Channing Tatum to be a fine actor, even if he missed the mark a little in G.I. Joe, and his mixture of masculinity and softness worked really well on the Street dance films. But as Peter Pan? This is part of a growing trend of fairy tales adaptation, following the stratospheric success of Alice in wonderland last year. In the works, 2 adaptations of Snow White (including one with Julia Roberts playing the evil queen), Sleeping beauty with Angelina Jolie as Maleficent, a Wizard of Oz prequel with James Franco and Mila Kunis, and Jack the giant killer by Bryan Singer, among others. I suppose with the final chapter of Harry Potter, there is a void of family film franchises that needs to be filled. 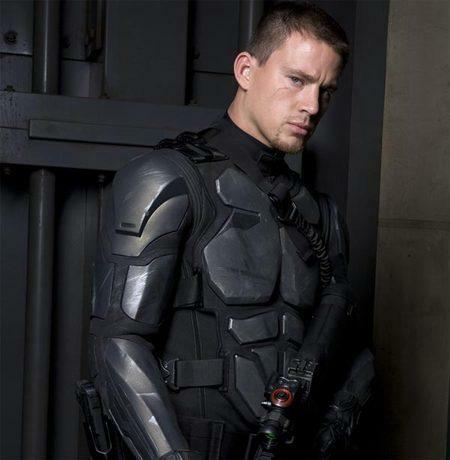 But still, I just cannot imagine Channing Tatum as Peter Pan? Will he be a grown up version? (But then isn't Peter Pan supposed to be young forever?) Will he wear green tights? Will he break into a street dance routine, in 3D? There is one thing we can be certain. 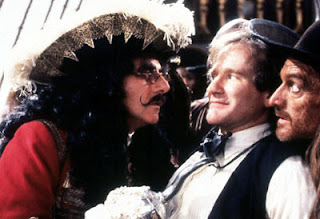 No matter what... he cannot be worse than Robin Williams in Hook, whose performance of cosmically bad proportion managed to create a singularity in the space/time continuum. I really liked Robin Williams in Hook. I think he's a great actor in everything that he does.